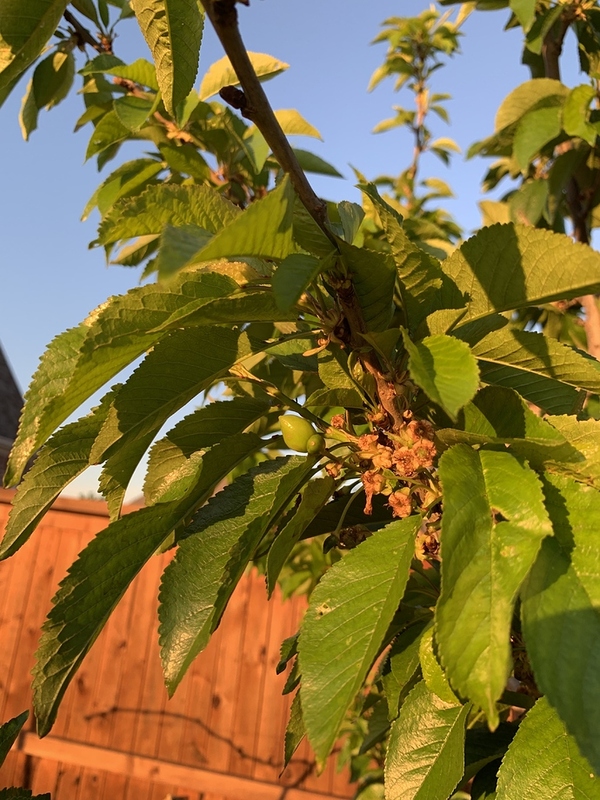 Had my two cherry trees in a raised bed for 4 years and they finally bloomed this year. I am seeing some doubles like peaches. I didn’t know cherries double up like this. Yup, all the stone fruits like to double sometimes. I’ve had a lot of doubling on some cherry varieties and little on others. 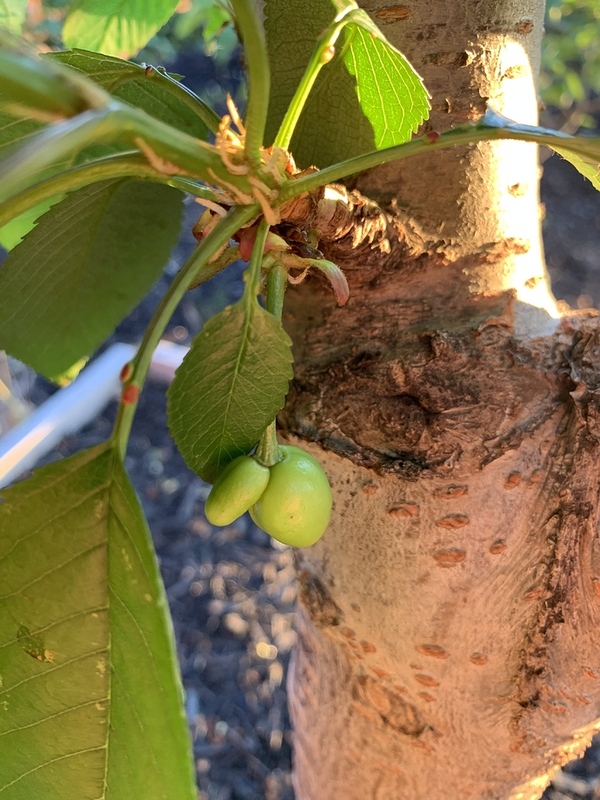 Doubling is related to heat and possibly water stress when the cherry buds are forming soon after harvest. So the doubling now relates back to the weather and soil conditions last summer. I’ve had a lot of cherry bloom issues in my greenhouse. I’m going to water more and try to hold down temperatures in the months after harvest. The fruit buds probably form in the May to July time frame around here. I am assuming if I pop the smaller double off all will be fine? It’s worth a try if you are short on fruit. If you have plenty take them off. Breaking off the small one works some of the time. Other times the remaining fruit rots as it starts to ripen. It looks like that might be all you have. If so I’m sorry. I’ve had the same many times. 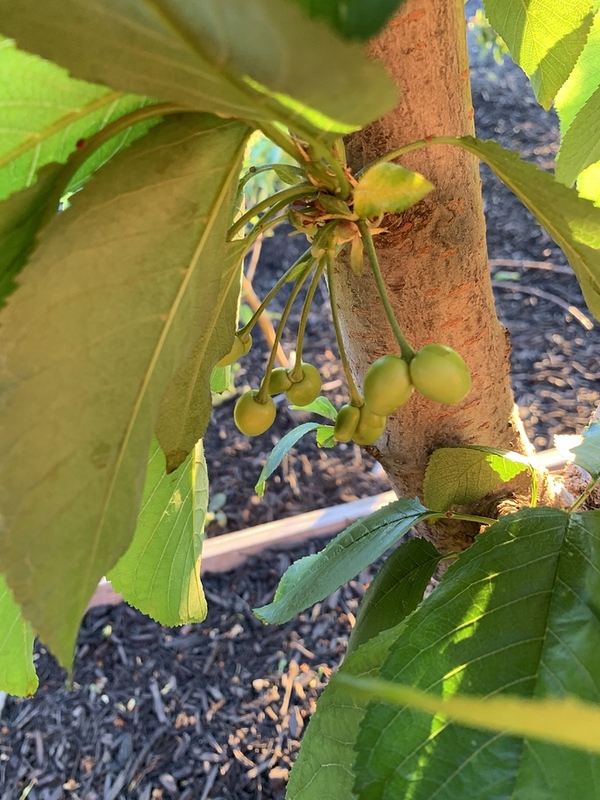 In my experience the self fertile cherries, (Lapins, Benton, Selah, Stella) have more issues with doubling and fruit set than things like Bing, Van, and Rainier. In CA they are selecting for heat tolerance. Things like Brooks are tolerant. if the doublets are partly fused(the peel is continuous), would be best to let them be as removing one would result in open wounds. I actually prefer siamese twins as they are more meaty. all the stone fruits like to double sometimes. I’ve had a lot of doubling on some cherry varieties and little on others. noticed that too. Among drupes, cherries seem more inclined to produce twins , including conjoined ones-- my favorite. I have had quite a few doubles in young peach trees. First and second bloom trees. For some reason it seems to decline as the trees mature. I have never seen doubles with anything other than peaches/nectarines and cherries. I would not mess with the smaller cherry. You will just loose both. I always find double cherries in retail bags. The second cherry is almost always fully developed worth about a minute of conversation.